As soon as we’re born, our physical growth is fueled by a growth hormone produced by the pituitary gland. Once we reach middle age, the pituitary gland begins producing less of this hormone, and it continues to decrease as we get older. Synthetic human growth hormone, commonly called HGH, was developed to treat adults suffering from a deficiency of growth hormone. However, HGH has since been used for other purposes. Among those who use HGH are professional athletes seeking to boost their performance, bodybuilders trying to increase muscle mass and Hollywood movie stars trying to maintain a youthful appearance as they age. In January 2008, then-61-year-old actor Sylvester Stallone admitted on NBC’s “Today” that he took HGH in an interview that took place after the “Rocky” star was charged with unlawful possession ofthe substance in Australia the previous year. According to Stallone, he used HGH for its recuperative powers in terms of bolstering the body’s ability to recover from wear and tear. Despite these benefits, the What is HGH website lists a number of side effects that can occur when taking HGH. These include inflammation of legs and arms, severe headaches, toughening of arteries and increased blood pressure. A study published in a 1994 issue of “Annual Review of Medicine” referenced clinical trials involving HGH therapy that took place in adults. Results of these trials demonstrated that HGH users reported increased muscle mass, decreased fat and an overall improvement in their quality of life. 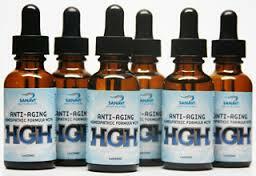 The study concluded by noting that medical internists may eventually have to decide whether HGH is an appropriate treatment to “repair aspects of the normal aging process.” This report, however, made no reference to HGH side effects. The synthetic form of HGH is known as Somatropin. The Somatropin website lists a number of severe side effects associated with synthetic HGH. One side effect of taking HGH is hypoglycemia, in which your blood glucose level can drop to a dangerously low level. HGH has also been known to cause an distended belly, a condition sometimes seen in bodybuilders who use HGH improperly. HGH can also cause joint pain and symptoms similar to those of Carpal tunnel syndrome. A study published in a 1992 issue of “Clinical Pediatrics” estimated that, at that time, more than a quarter-million American adolescents were using anabolic steroids. The study sought to investigate whether adolescents in representative high schools in the Midwest were using HGH, how much they knew about the effects of HGH and whether they were using HGH in conjunction with anabolic steroids. The study found that most teenagers who used HGH were also using anabolic steroids, and most HGH users were unaware of the associated side effects and health risks.